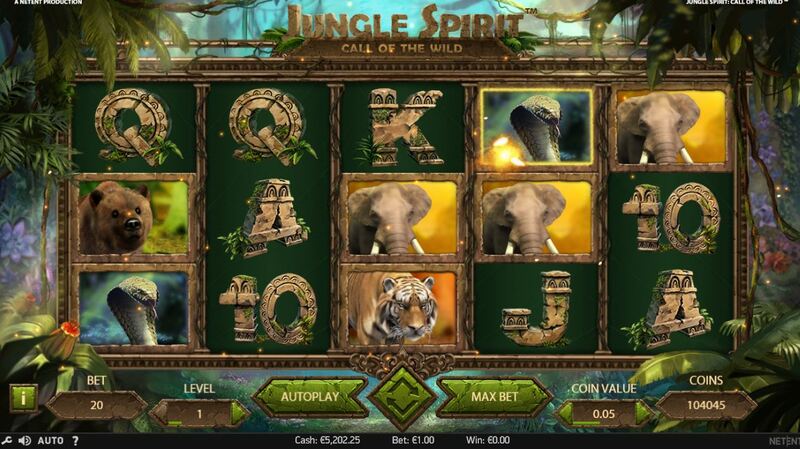 Jungle Spirit slot (Call Of The Wild) is a rare for two reasons – Netentertainment don’t usually develop many multiway games and there are also no Wilds in the game! There are 243 ways over 5 reels and the theme is ancient jungle with animals which are the tiger, elephant, bear, monkey and cobra along with the usual card symbols. There are golden butterflies overlaid on some of the symbols except for the scatter and these will expand if in a winning combination. Randomly the golden butterfly may appear and turn 1, 2 or 3 of the same symbol into an expander for a guaranteed win. 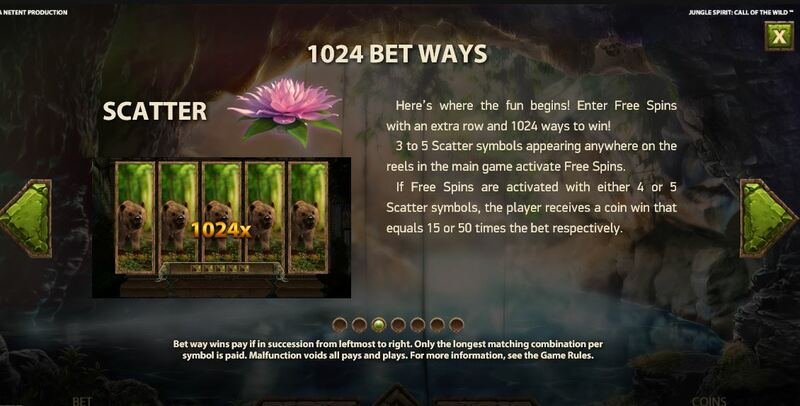 3 or more flowers will trigger a choice of free games, where the slot transforms into a 1024 way grid by adding an extra row. You can choose the volatility by selecting 4 free games where only the highest-paying symbol, the tiger, appears on the reels with the card symbols right down to 20 spins where the lowest-paying cobra is the only animal on the reels. 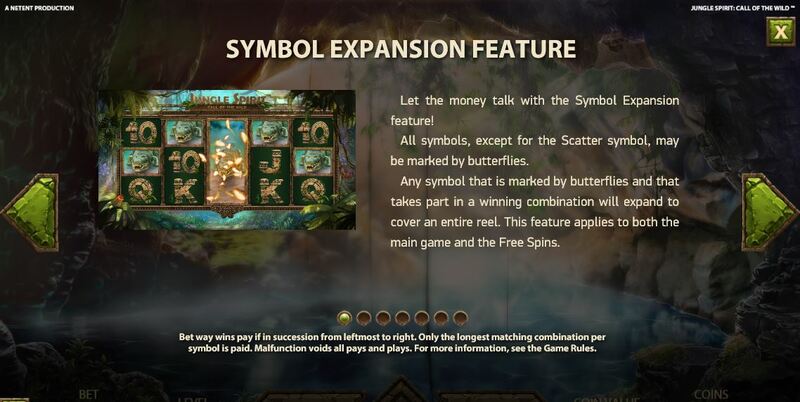 You will also still get the golden butterfly overlay on a number of animal symbols if they form a winning combination on Jungle Spirit slot. This is similar to the bonus in Genesis Gaming’s Red Panda Paradise slot. Theoretically you could get a 5-of-a-kind win with the symbol of your choice and get all of them expand for 1024x your 5-of-a-kind animal pay! There are no retriggers. RTP is 96.47%.